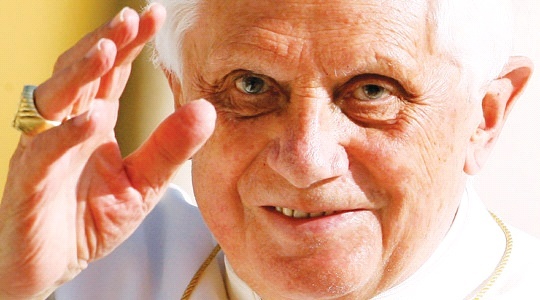 Pope Benedict XVI will visit Malta on Saturday 17th and Sunday 18th April 2010, on the occasion of the 1950th anniversary of St Paul’s shipwreck. The Pope will arrive in Malta on Saturday afternoon and return to Rome Sunday evening. On arrival, His Holiness will hold meetings with the highest Civil Authorities and then visit St. Paul’s Grotto in Rabat. On Sunday morning the Pope will celebrate Mass on the Granaries, in Floriana and he will then meet youths at the Valletta Waterfront in the afternoon. This hotel is close to all one needs to have on holiday. 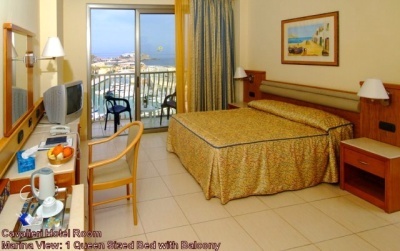 In fact, St. Julians is also known as the entertainment centre in Malta, and The Alexandra Hotel is just a few metres away from the restaurants, bars, discotheques, casino, cinema, bowling centre and other entertainment places which this locality offers. Apart from all this, shopping centres and supermarkets are also a few minutes away. A number of rooms and outlets have breath taking sea views. You can try your luck at the nearby casino, or just relax over dinner or the various other facilities provided by the hotel. Those who would like to dance the night out, well; nothing on the Island beats the night life in St.Julians. On the other hand, spacious conference facilities and the location of the hotel is just a mere 10 minutes by car from the business district of Sliema or a 15 minute-drive from the capital of Malta, Valletta, qualifies the hotel as an excellent host for people on business. Providing the finest accommodation with spacious and well appointed rooms and suites, some of which offer a commanding view of the eastern coast of Malta, equipped with all the necessary up-to-date amenities, your search for the ideal hotel, be it business or leisure, is over. 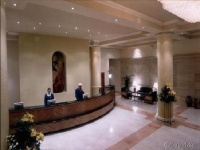 This four star hotel is situated in a unique and quiet location on the fringes of the most sought after tourist area in Malta - St Julian’s, and sits very close to the Hilton Hotel. 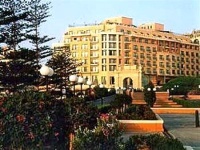 The Cavalieri is within easy walking distance from all the popular attractions in this well established resort area. 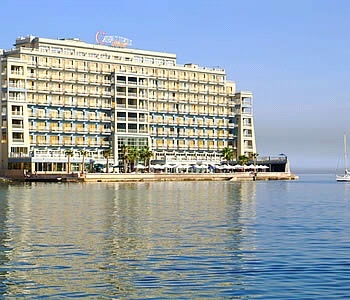 Whilst directly on the water’s edge overlooking picturesque Balluta Bay and the Mediterranean Sea beyond, the hotel is also located on the doorstep of the Portomaso Yacht Marina, 300 meters to the Paceville nightlife area, 400 meters to the closest Casino and 200 meters to Spinola Bay - the heart of St Julian’s. The seafront and beautiful promenade with its many bars, restaurants and shops as well as the main bus routes to Valletta, Sliema and to the Gozo ferry terminal are all close by. The Hotel Cavalieri is designed with stylish, large, light, open spaces, comfortable furnishings and an attractive decor. Most hotel rooms have full seaviews facing Balluta Bay, St. Julian’s Bay or the Portomaso Yacht Marina and the sea beyond. Facilities include an extensive outdoor south facing pool deck on the water’s edge, restaurant, lounges and bars with open terraces to enjoy the beautiful views. The Grand Hotel Excelsior embodies quality, class and style and commands the island’s premier waterfront location. A couple of minutes on foot bring you to the gates of Valletta, a city brimming with culture, noble architecture and priceless art. The Hotel provides stunning views of Marsamxett Harbour and Manoel Island from its location by the water’s edge. Its central position allows for easy travel to all parts of the islands. The hotel is tranquil yet buzzing with energy. Décor is a harmonious blend of classic with a sophisticated touch of contemporary styles. Spread over ten floors, all 439 deluxe rooms and suites are exquisitely decorated with the Excelsior touch. Designed with you in mind, bedrooms are equipped with all the modern 5-star conveniences including complimentary WiFi and multi-channel flat screen TV. The harbour views from the bedrooms are spectacular, day or night, so you can sit back, relax and indulge in the beauty of Malta’s rich history and unique culture from the comfort of your own bedroom. Our guest rooms offer a harmonious blend of classic and contemporary design and an abundance of natural light. The Grand Hotel Excelsior boasts superb facilities which include a private 30-berth marina, ideal for those who like to travel in style and luxury, a large outdoor pool and Le Grand Spa where we have an indoor pool, Jacuzzi, hydrotherapy bath, fitness centre, steam room, sauna, 9 treatment rooms & a party room. The Harbour View, bar, is open 24hrs a day, serving beverages and light snacks, for those who are looking for a quick bite or for the lucky ones who just want to sit back and relax while sipping on a cocktail, admiring the beauty of the Maltese islands in its finest. Admirals Landing offers a mouth watering buffet selection prepared by some of the finest, award winning, chefs Europe has to offer, a true gastronomical experience. The outdoor food and beverage facilities include the Yacht club Bar and restaurant offering a vast selection of dining options, from sushi to pasta and the Tiki bar next to the sandy beach, to accommodate you while you’re chilling by the pool or on the beach. Conveniently and centrally located in the prime area of St. George's Bay, InterContinental Malta is within walking distance of some of Malta's finest shopping, entertainment and nightlife venues and beach resorts. InterContinental Malta redefines the meaning of elegance with its contemporary design, style and modern ambience providing a unique atmosphere. All 451 bedrooms are superbly furnished and have all the comforts expected of a deluxe hotel. Each room has WIFI and broadband facilities, separate bath and shower, iron and iron board, telephone, mini-bar, safe, private balcony, hairdryer, coffee and tea maker and international electrical sockets. Club Inter Continental rooms, suites and the Presidential Suite are located on the exclusive top floors of the hotel, offering upgraded facilities, amenities, panoramic view and stunning views across the Island and the Mediterranean. InterContinental Malta extensive facilities include seven restaurants, three bars, an outdoor 47 meter panoramic lagoon styled swimming pool, landscaped gardens, a heated indoor pool, state of the art Fitness Centre, Beauty Centre, Club Inter Continental Lounge, 24 hour room service and 24 hour Business Centre. Richly endowed on the leisure front, the hotel's exclusive sandy beach is located only 143 meters away. The InterContinental Beach Club has an innovative and chic concept, custom designed for one's relaxation whilst taking in the sun and cooling off with a dip in the Mediterranean Sea. For the convenience of the guest, the beach area is complemented with the trendy Paranga Restaurant serving Mediterranean cuisine and Paranga Lido, a casual dining restaurant and the Absolut Vodka bar. An array of water-sports and scuba-diving activities are also available.